There is a great deal on this 4 tracker to like. From the top A1 sets the tone for the record with an opening 1.30 loop that is both repetitive and mesmerising. Like any great House record 7 minutes of virtually the same 2-4 bar loop never gets boring and when done effectively is a reminder of why House become such a phenomena in the first place. In this case A1 is built around a subby filtered kick, chopped female vocal, panning echoing percussion and a tambourine transition, which on the face of it doesn’t sound that thrilling, but give it a few minutes and you’ll be locked into its cyclical groove. Naturally as A1 progresses new elements are added and removed with just enough fanfare to keep things fresh and interesting throughout it’s duration. A2 on the other hand is perhaps the one anomaly on this EP, with its more traditional song based structure replacing the prevailing House aesthetic that the rest of the EP is built upon. Yet despite this slight departure Willow has sonically ensured, primarily through the vocal, that A2 still seamlessly fits within the overall context and feel of the record. 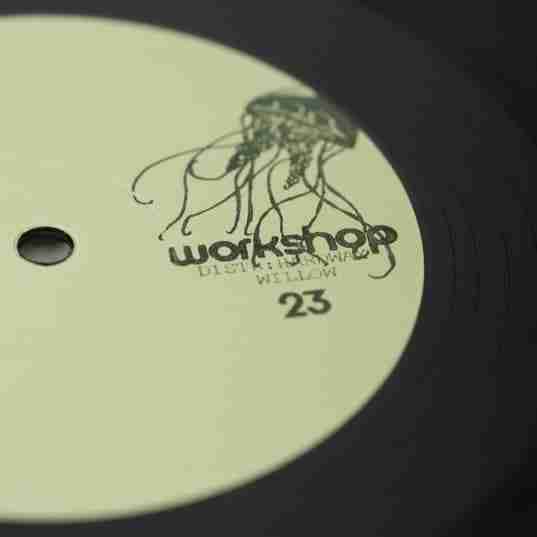 B2 closes things out on Workshop’s 23rd release, and for us it’s the standout moment. Patient, imaginative, almost Four Tet like House, that creeps upon you with the unerring stealth and surprise of a wild beast, before sinking in its claws and refusing to let go.